You may have heard about "the room where it happens" and now we bring you the story of the Town where it happened...BOSTON! Meet one of the most powerful Founding Families in this lighthearted revolutionary rendezvous! 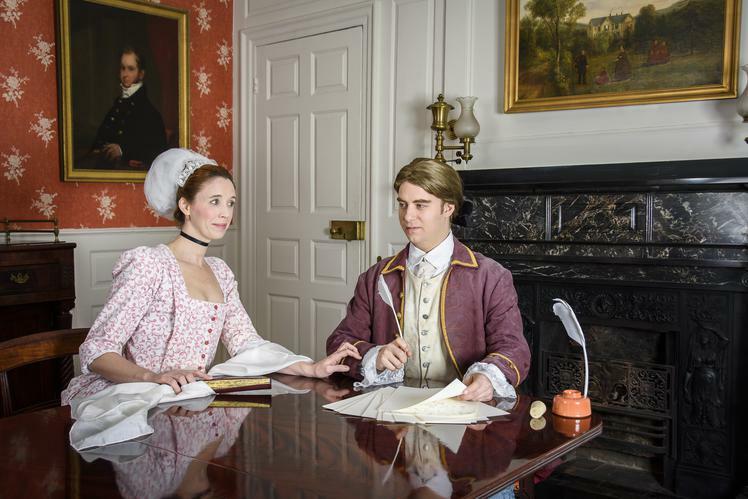 Enjoy the company of John and Dorothy Hancock, Samuel Adams, his cousin John, and many more, as you witness and participate in the landmarks events in the path to independence, while following John & Dorothy's rise to power. Family-friendly, factual, and unforgettably funny! Running Time: Approx. 100 minutes, with a 10-minute intermission. VENUE REQUESTS: A projector and projector screen. Please inform us at time of booking if History At Play needs to provide these items (Materials Fee applies).